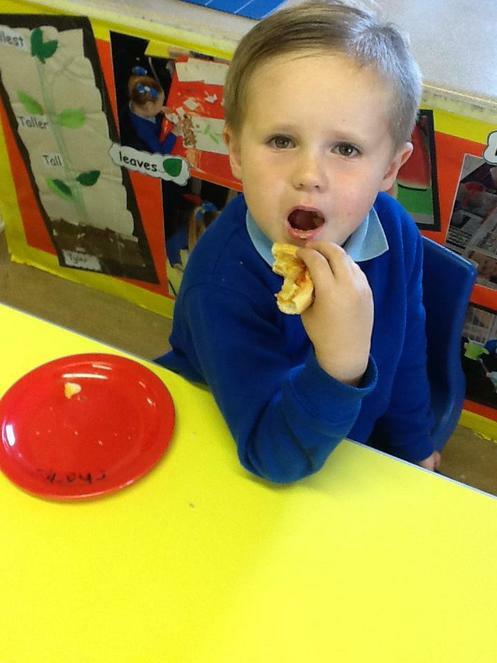 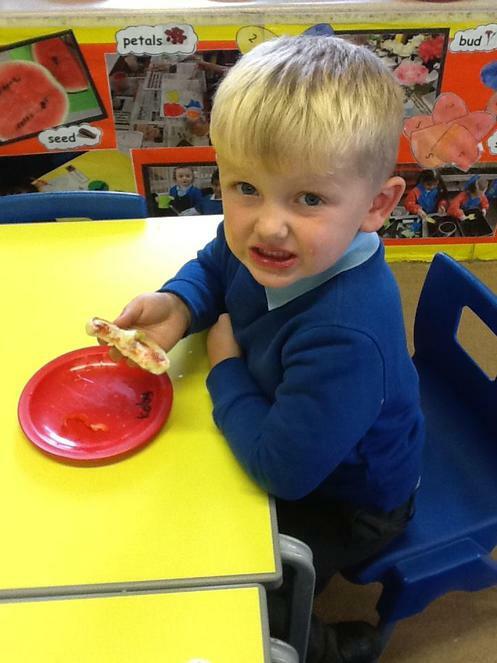 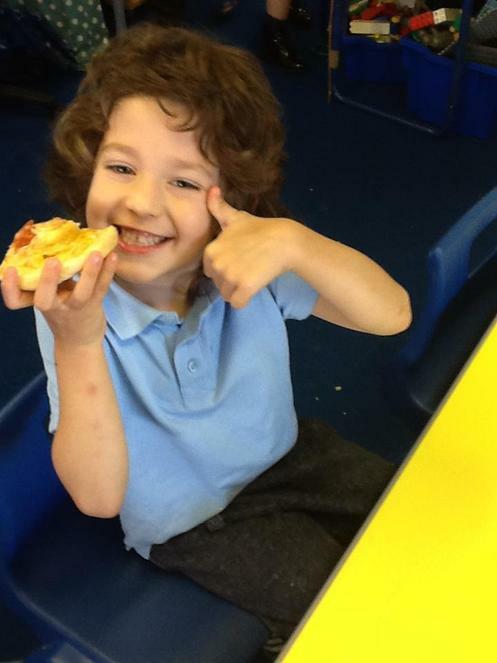 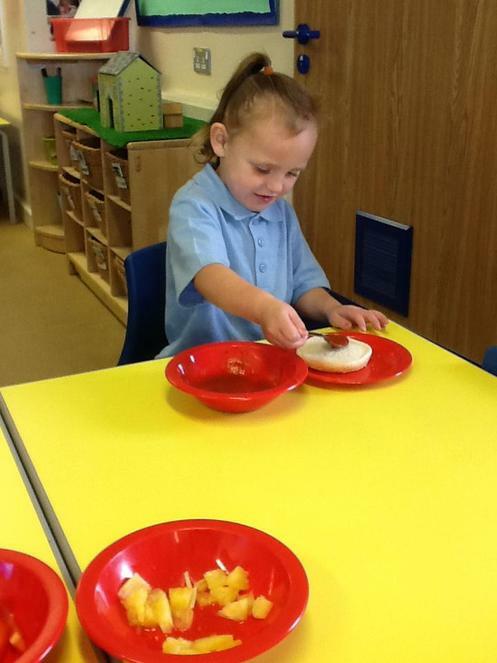 We've had great fun our first week making new friends and exploring all the exciting activities in our class room. 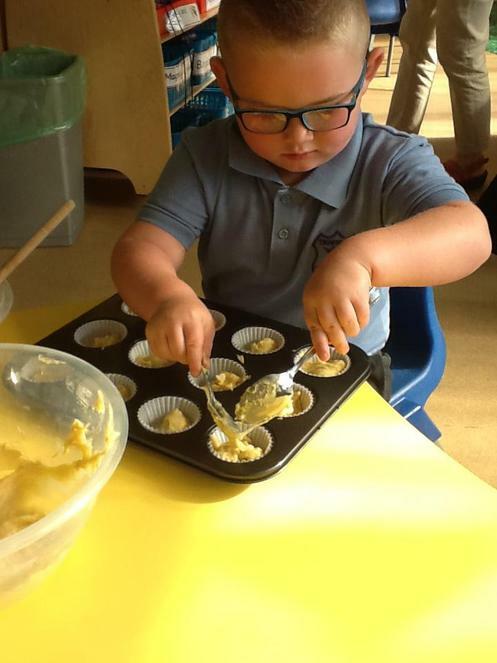 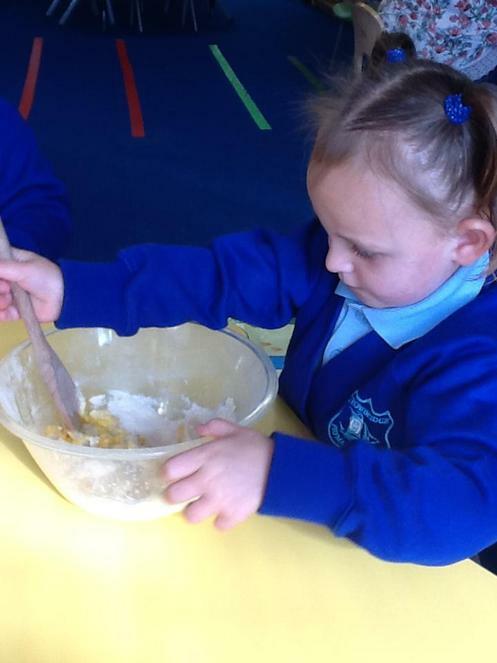 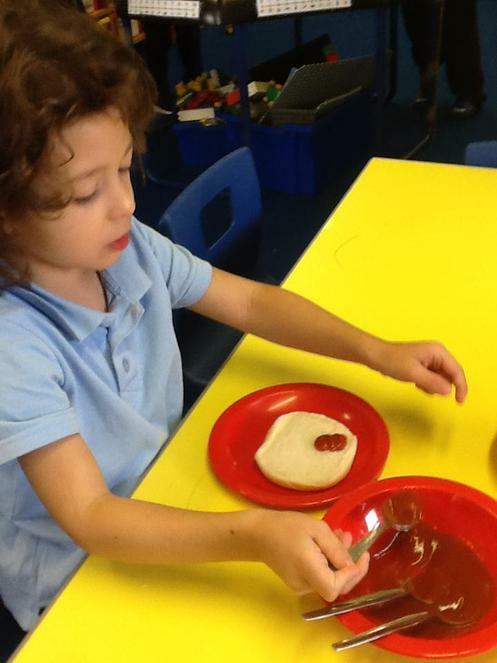 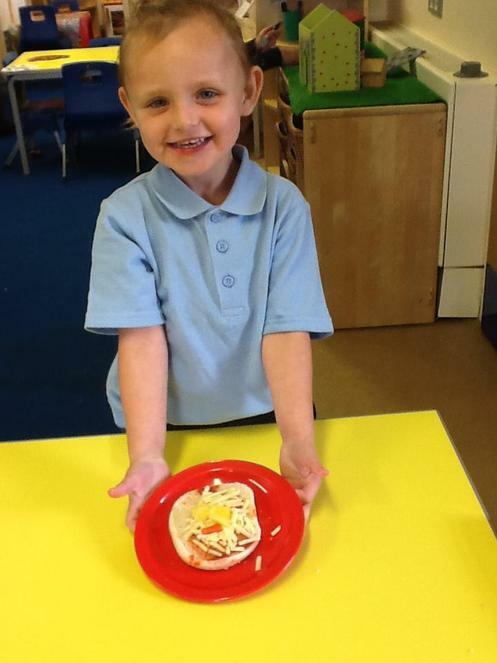 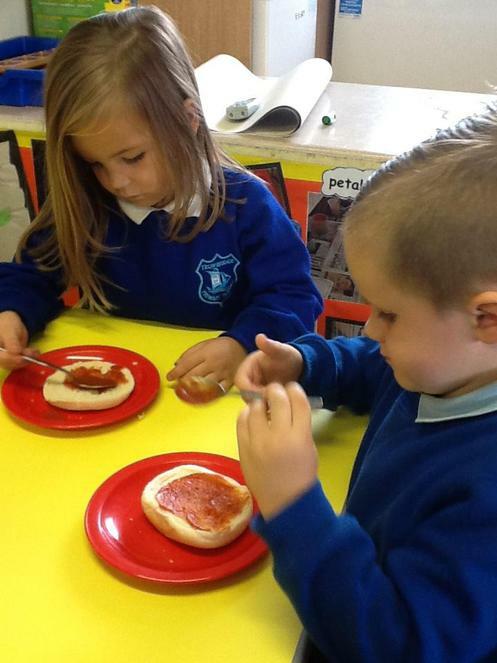 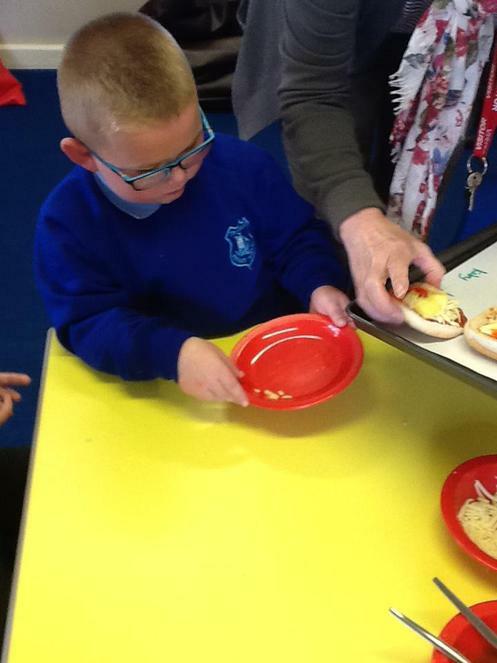 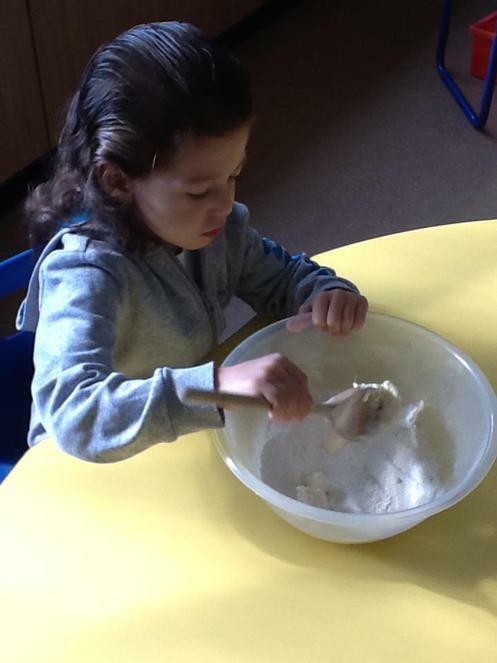 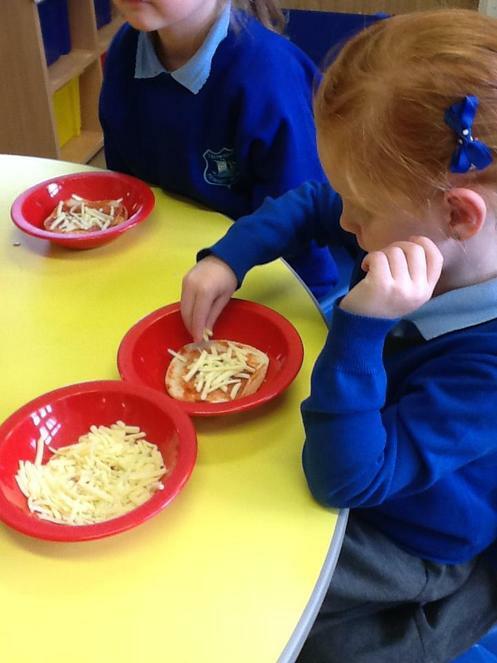 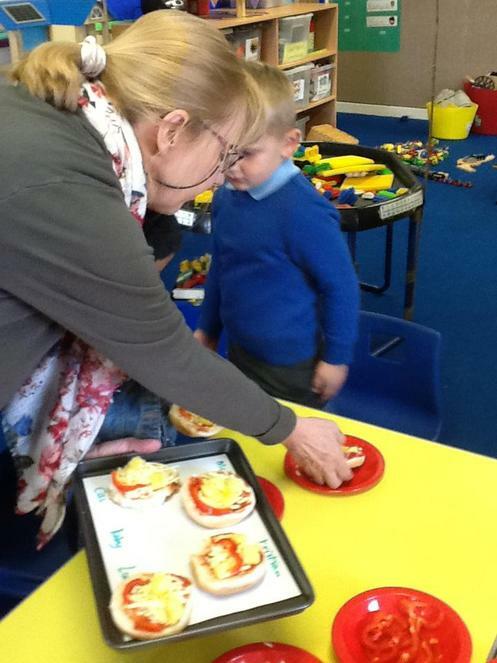 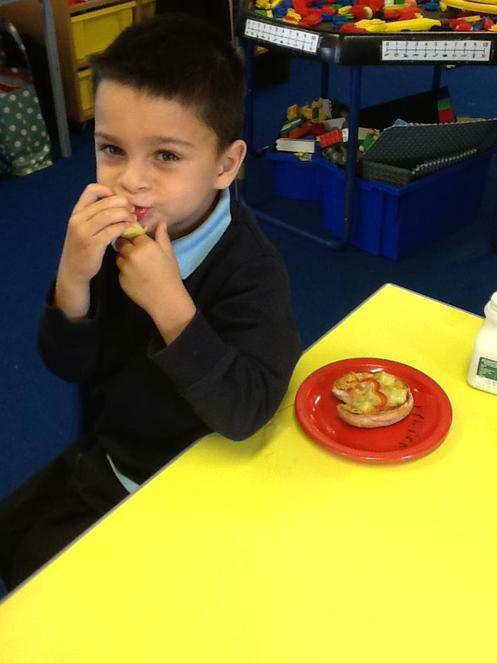 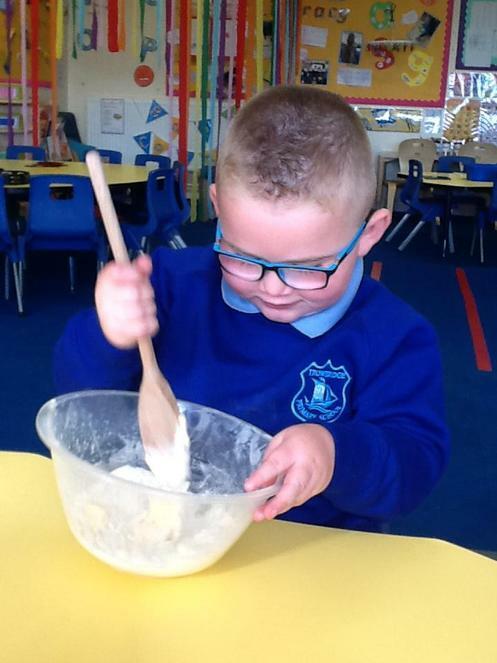 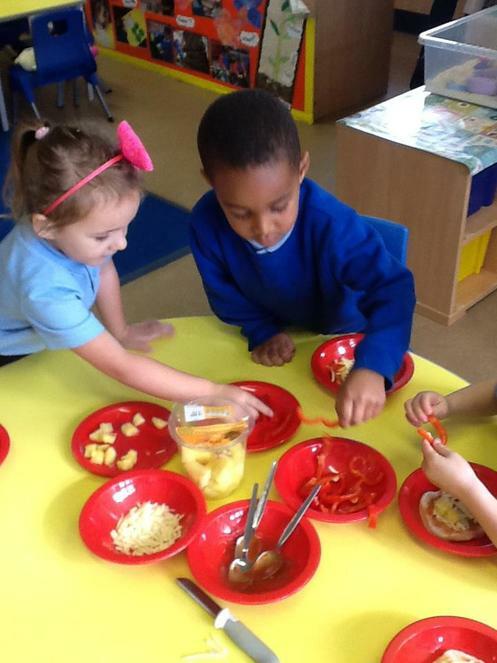 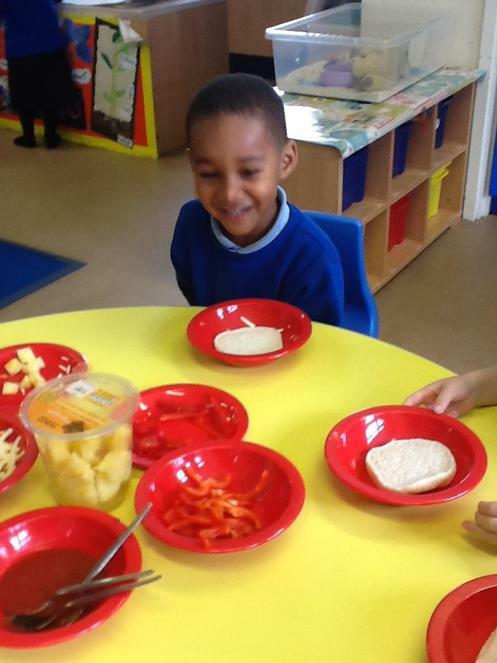 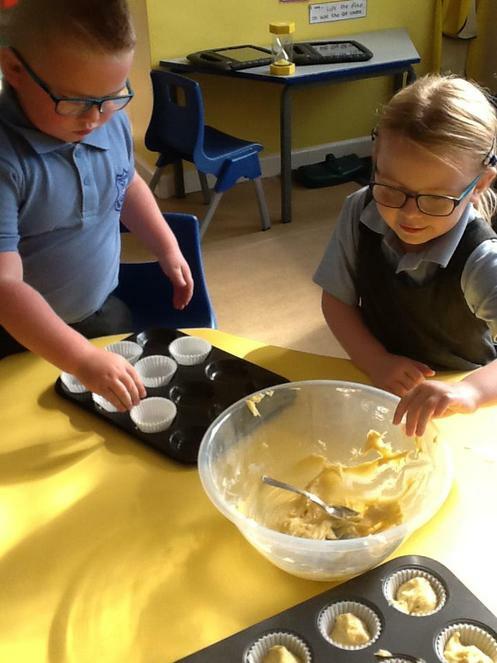 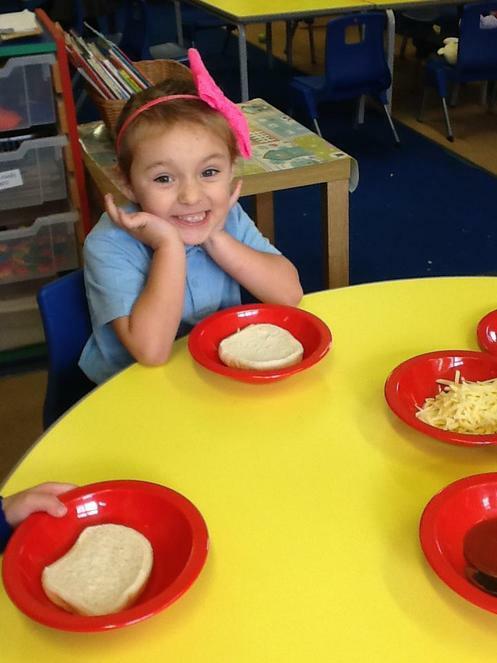 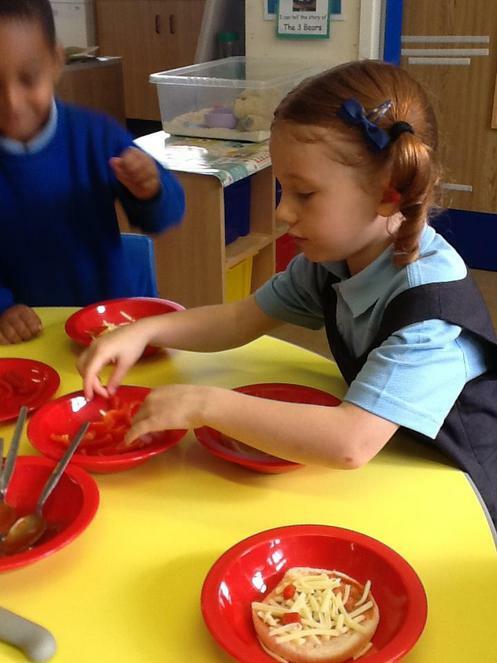 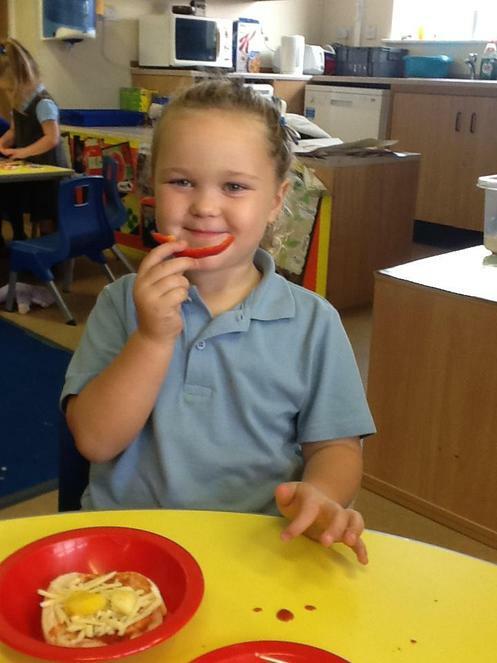 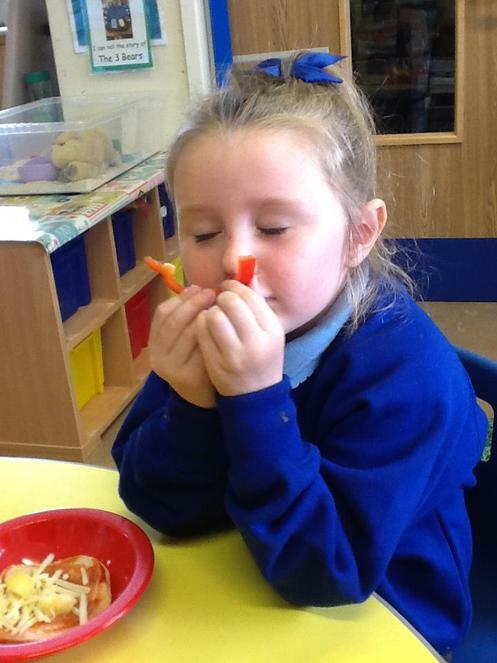 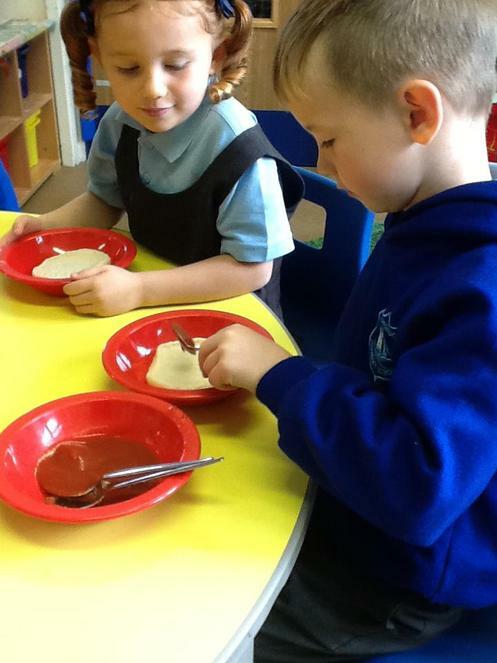 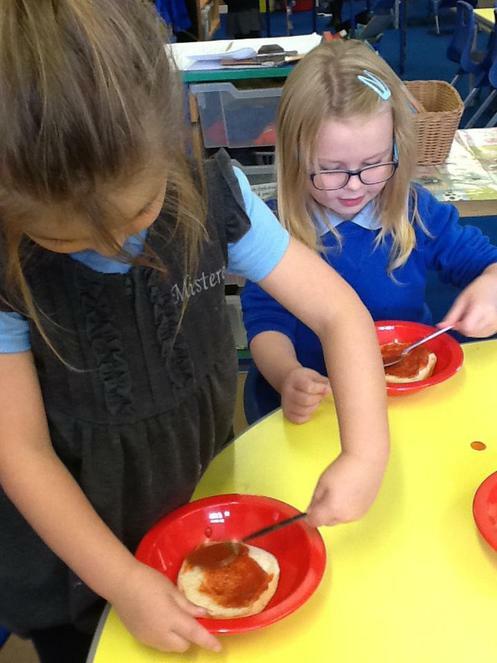 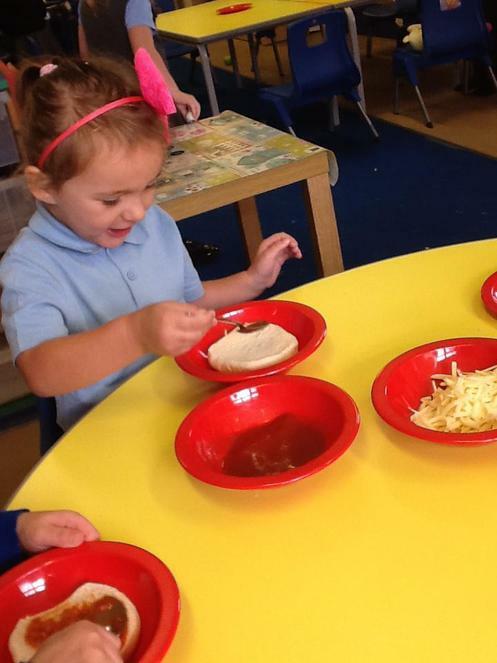 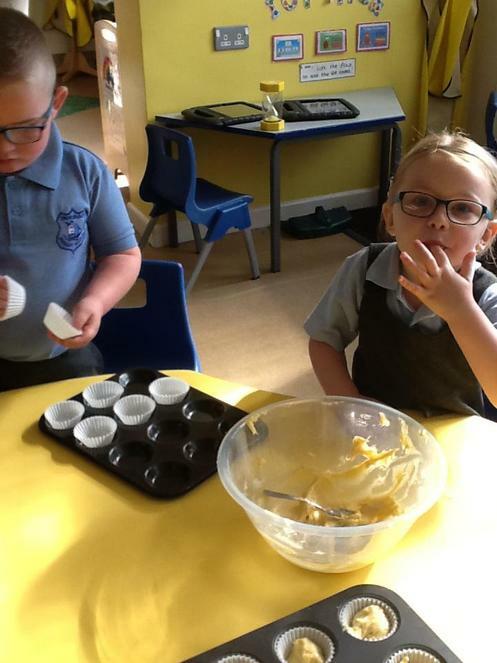 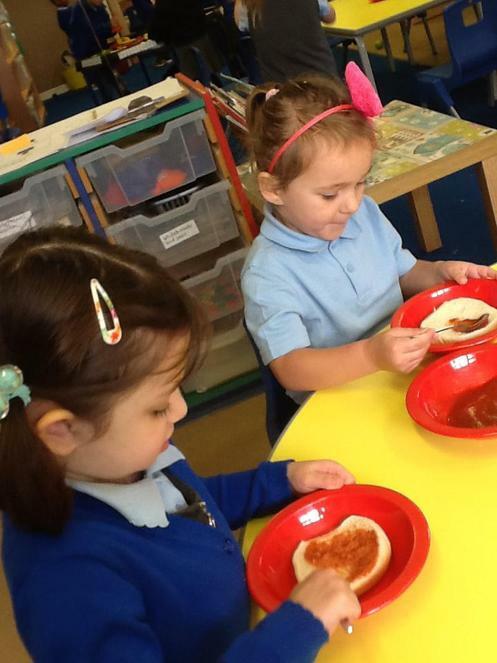 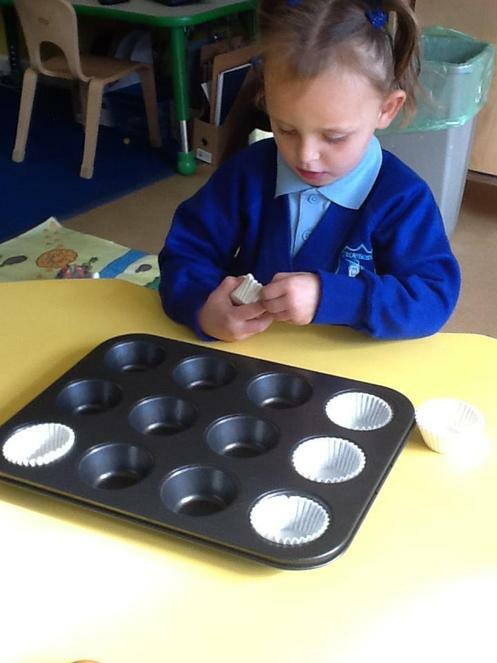 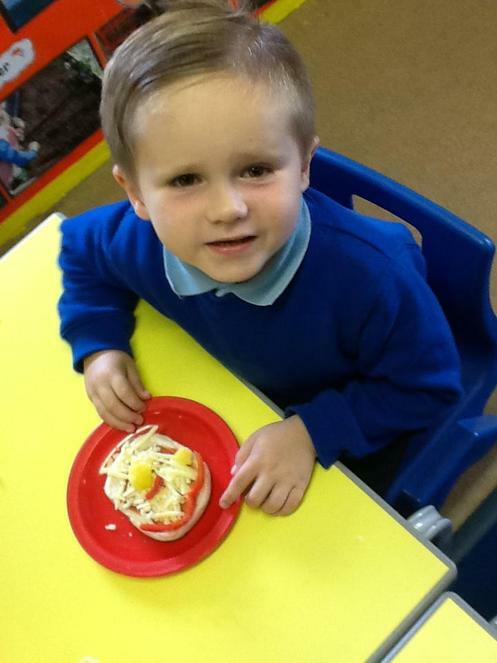 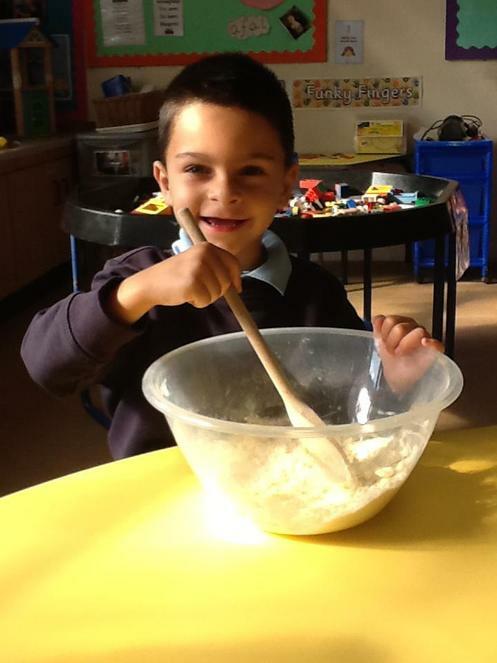 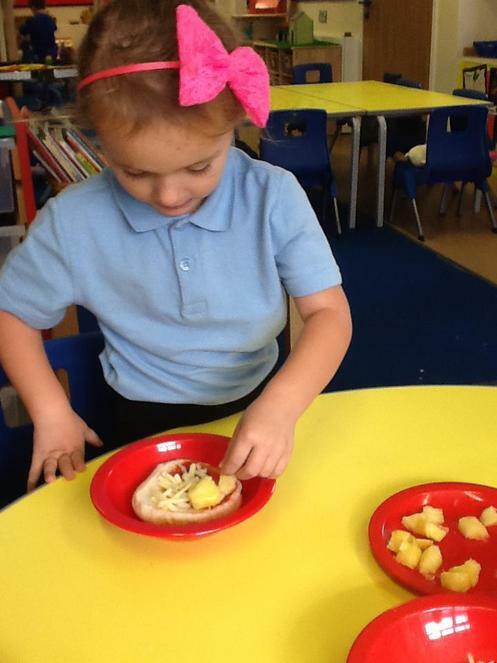 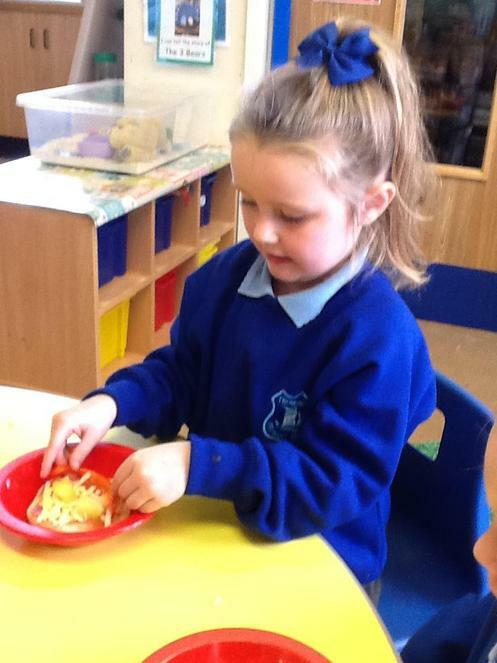 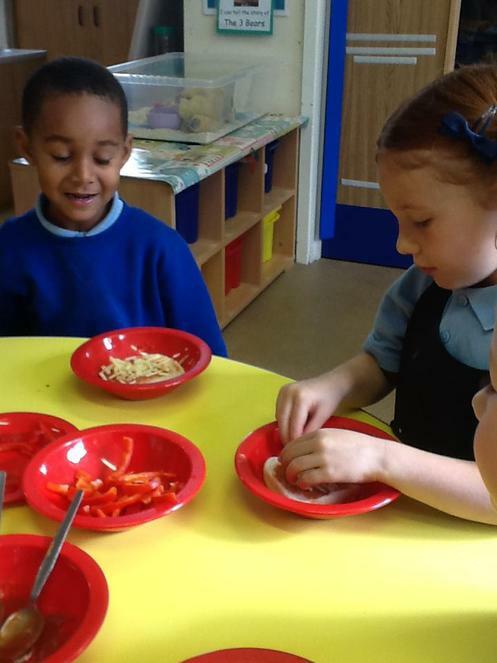 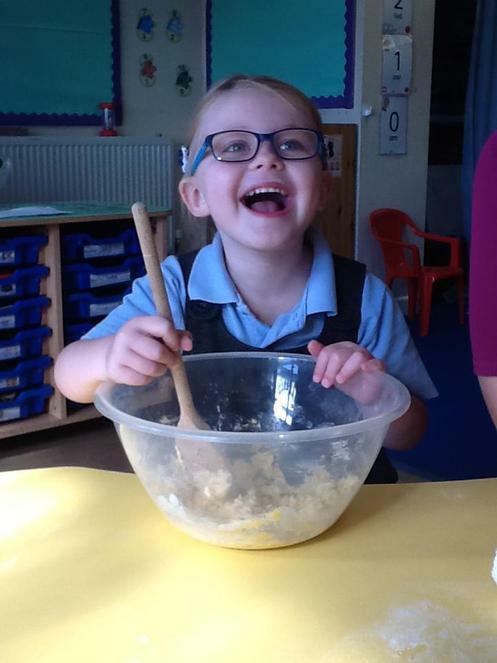 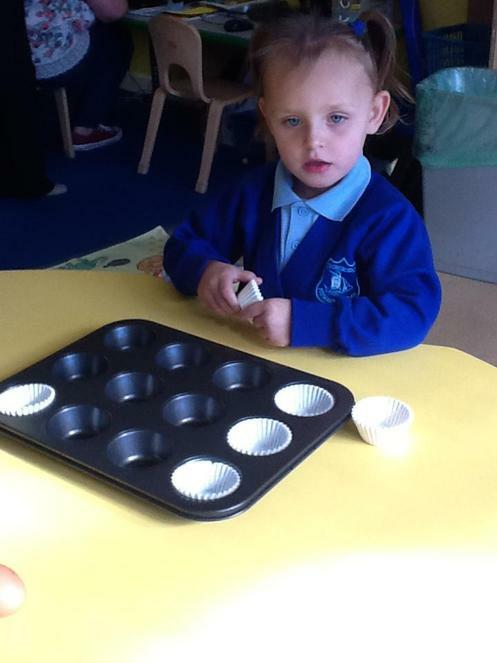 We've been cooking up a storm in Reception! 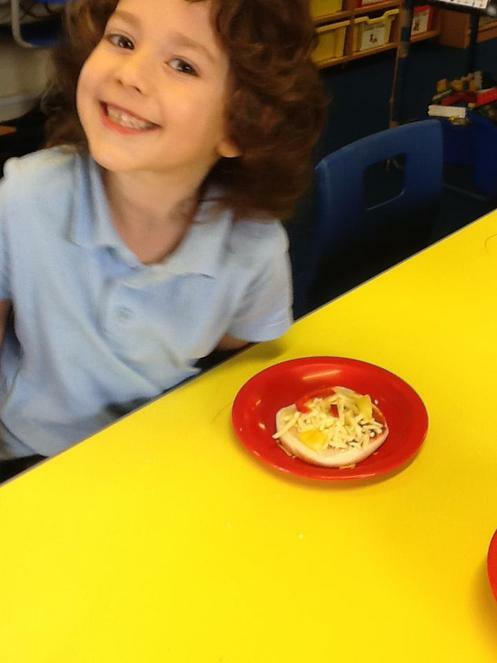 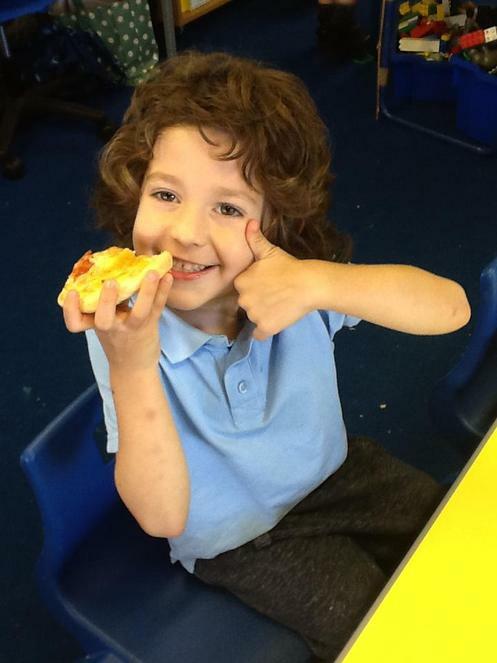 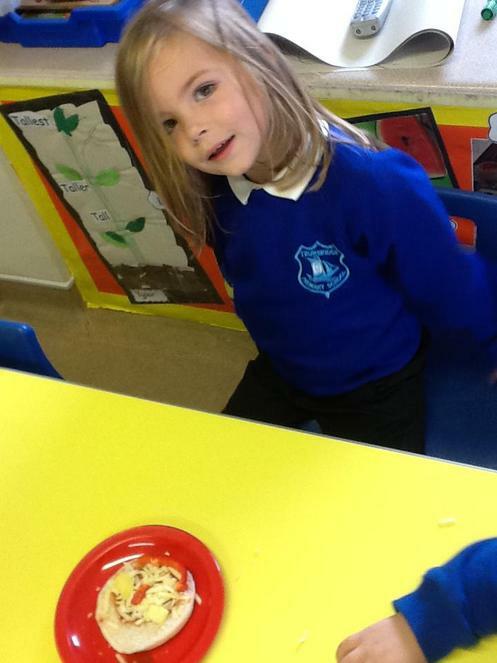 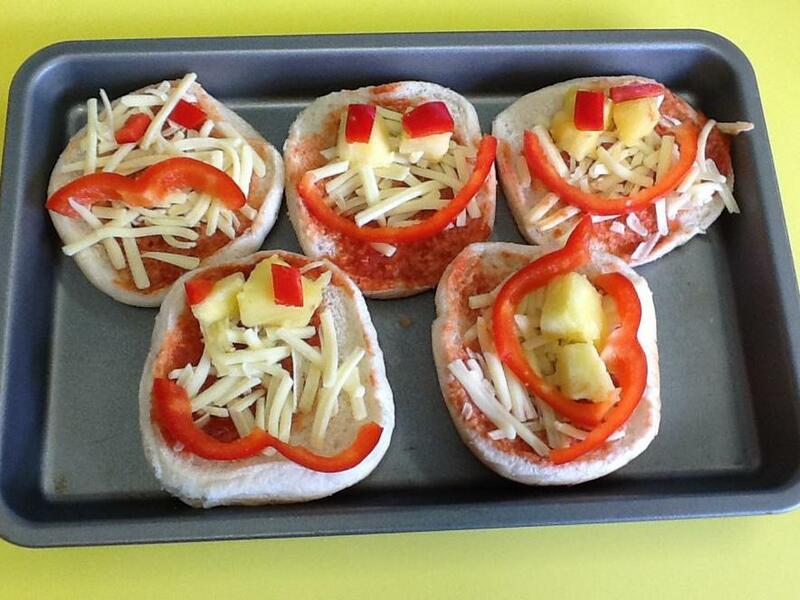 So far we have made fairy cakes, smiley face pizza's and skeleton cookies. 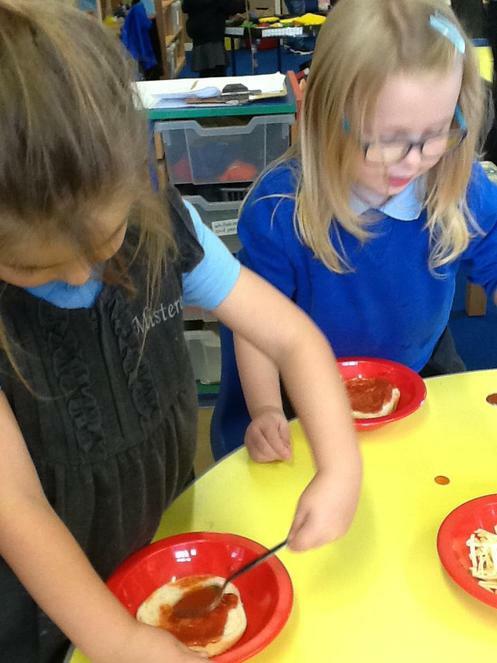 We've really enjoyed making a mess, oops I meant all this delicious food.